The 19-year-old star - who is one fifth of the chart-topping boy band along with Niall Horan, Zayn Malik, Harry Styles and Louis Tomlinson - admits he was tightly wound when he first joined the band in 2010 but has now opted to go with the flow and make the most of the unique experiences the group is presented. 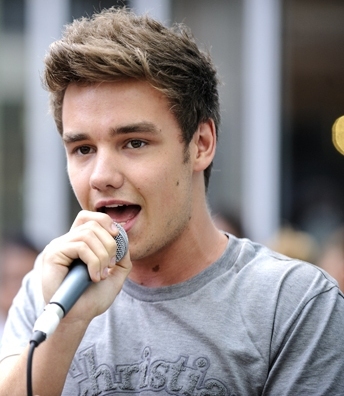 He explained to The Sun newspaper: "It's a new dawn for Liam. I'm having a laugh now. I've let loose in the sense that I haven't got that much to worry about any more. I'm still quite mature but whether I'm sensible I'm not so sure. "The first year or so, I used to just get up, go to work, go to the hotel and go to the gym and that was it. But I'm up for it now. Like his 'Best Song Ever' bandmates, Liam has found it difficult to adjust to his global fame and says constantly being recognised has made it difficult to do normal things like go shopping. He said of a recent incident in the United States: "We decided to go shopping. We went in two shops and suddenly there were literally 300 people outside. They were pushing so much that a girl fell through the window. So I sat down out of sight as I thought that would calm the situation. Yeah, that was just a bit much."